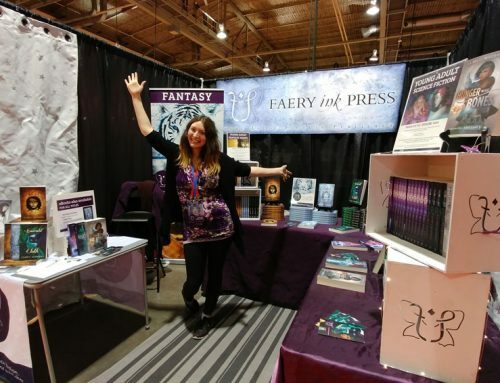 This month at Faery Ink Press I’ve tried to be more conscious about my online marketing efforts. Ever since I announced my publishing schedule for next year, I’ve been hyper sensitive to what really needs to get done. And if I’m going to be successful, I realized that I need to pay more attention to what sort of marketing I engage in. So here’s an overview of the activities I did, what worked, what didn’t, and what I’m going to do better in the future. For the good part of June, I held a giveaway. The goal: increase Facebook likes. Facebook is a place I haven’t really paid much attention to it in my online marketing. I’m much more active on Twitter. The idea was to hold a regular old giveaway with one catch: the prize would be based on the total amount of likes the Facebook page had. The more likes, the bigger the prize. Read more about the giveaway here. I read somewhere in the depths of the internet that the average amount of likes you receive from a Facebook-based giveaway is about 150, and I got about that many likes. I was hoping to get to at least 750, but I’m not disappointed by the outcome. 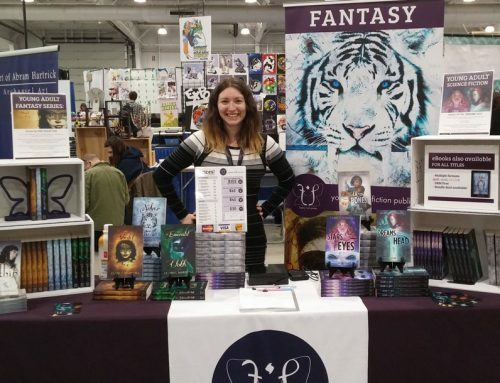 Many of my likes came from the new NerdGirl Facebook page, which promotes indie authors. Others came from my site itself, and Twitter. I was more active overall in the past month so that probably encouraged some more likes as well. One positive thing I’ve noticed over the past month is that people have been much more interactive on the Facebook page. This, I like! Makes me feel like I’m actually talking to someone when I’m posting updates and stuff. Giveaways are a fairly decent way to create buzz for your website, but my feelings about them are mixed. On one hand, part of me dislikes giving away my work for free. 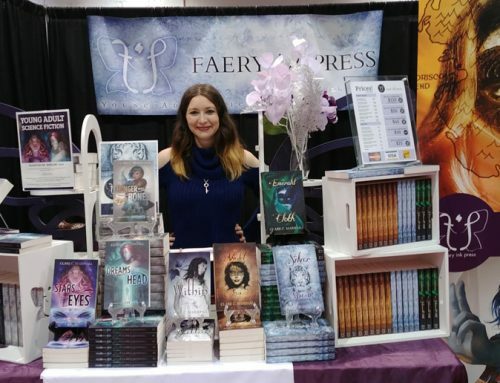 On the other hand, I know that the more people who read my work–especially Stars In Her Eyes and The Violet Fox, being firsts in their series–the more people I have to market sequels to. It’s a tricky dilemma that I struggle with daily. After coming home from KeyCon, I vowed to take a more active approach to my blog marketing and social media marketing. I’m also giving a presentation in August at When Words Collide about author websites, so I’m working on getting this site in top form. I re-designed the blog page and the article page, and also re-tooled the sidebar a bit. I saw an increase in web traffic for the month of June because of my blogging as well, as well as an increase in my ranking with Google. Traffic was highest on days where I actually published an article, and tapered off during the next few days. However, the Cinderella fairy tale article I wrote months ago still gets visits every day. Since my aggressive publishing schedule announcement, I’ve had to double down on my writing. Well, sort of double down. I haven’t been doubling as much as I’d like. Projected word counts for both projects are 50,000 and 90,000 respectively. Writing-wise, I would love to be done a draft of Dreams In Her Head by the end of July. This will give me lots of time to get it into shape, and then into production. I find Dreams In Her Head a little tougher to write as there are more books in the series. I have to be careful to leave the correct trail of breadcrumbs in the right places to inspire curiosity and give enough reveals to satisfy the reader. I sent out two newsletters in June, which is a success because I’m trying to stick to a “every two weeks” schedule. The You-Choose-The-Way story I’m doing has effectively increased engagement in my newsletter. My click-through rate has doubled from about 5% to 12%-13% per newsletter, so I’m pretty psyched about that. I’d like to take the story and flesh out all the other choices, and turn it into a real book, maybe. I have a few other you-choose type projects I was working on. I’m on the fence about whether or not to offer them for free. 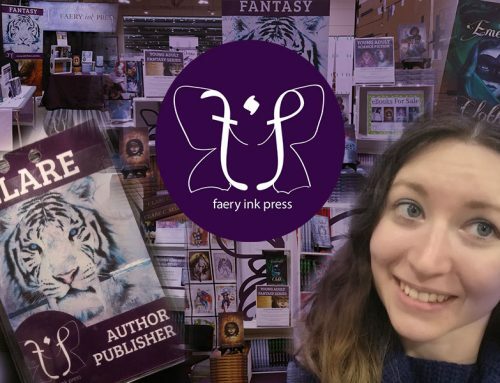 The newsletter story I don’t plan to have go on forever: there’s a definite goal in the story (you are a bookseller, you have to get to town so you can sell your books). But I don’t want it to be too short for if I do decide to charge money for a full version. So I’ll have to give this more thought. I’m planning a book blast for August. It will be my 25th birthday so this is how I am celebrating! 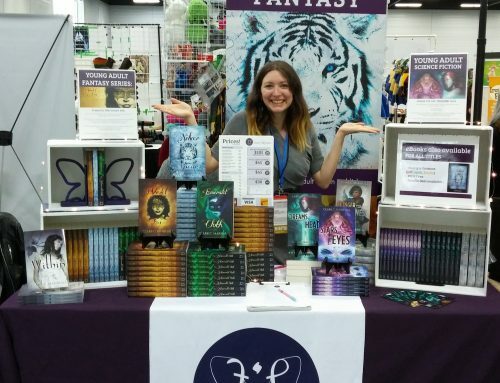 Also in August is the When Words Collide Convention, at which I am reading, giving a presentation, sitting on panels, and also manning a table. So basically I need to clone myself before then!